Why should I hire an attorney when filing for bankruptcy? How does business bankruptcy work? Can I file bankruptcy in a day? How can Meyer Law help with tax relief? We have filed over 4,000 bankruptcy cases with a 100% success rate, maintaining 5-star reviews. Or text us the letters "bk"
Start your case with little down and affordable monthly payments Start our free evaluation today! See what past clients have to say about Meyer Law. Why set up a free consultation with a bankruptcy attorney at Meyer Law? Our success rate: We have filed over 4,000 cases with a 100% rate of success. Affordable fees: Your initial consultation is always free, and our fees are very competitive. 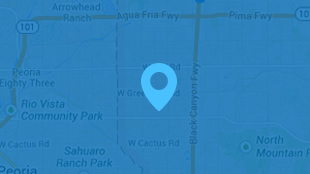 Convenient locations: We have offices conveniently located in Gilbert, Phoenix, Peoria, Surprise, Scottsdale, and Queen Creek, so meeting with us is easy. Experience: Our team of attorneys have years of experience navigating the ins-and-outs of Arizona bankruptcy law. They will help you negotiate and settle with creditors in as little as six months. Compassionate attention: Unlike most other firms, our caring attorneys handle your case from the moment you step into our office until the end of your case. We never pass you off on a paralegal or legal secretary. Many legal options: Not only do we help clients file for Chapter 7 or Chapter 13 bankruptcy, but we also fight credit card companies, battle tax debt, and negotiate settlements with creditors and the IRS. Quick credit repair: Meyer Law, P.C. is here to be your ally and to help your credit get back on track while providing you a clean slate, free from debt. If you are currently encumbered with debt and need help, Meyer Law, P.C. offers the very best in Arizona bankruptcy, debt settlement, and tax relief services to get you out of trouble, allowing you to move on with your life. Trust Meyer Law, P.C. to give you the fresh start you deserve, and to make an otherwise scary and uneasy experience as painless as possible. When I was considering bankruptcy, Haines was one of 12 attorneys that I interviewed. After long consideration, I hired a different attorney – then slept on my decision and decided to change to Haines. Why? Even though the other attorney had thirty-some years of experience, I simply felt that Haines gave me more direct answers to my specific situation. Knowing that my case was more complicated than most, Haines met with me several times over the seven months it took from my first meeting to actually filing. We are a debt relief agency helping people file bankruptcy. Call us today to schedule an appointment at any one of our six locations.